May 8 is a public holiday in France commemorating the end of the second world war. Contrary to May 1st, most museums, attractions and shops are actually open. The day feels pretty much like a Sunday. 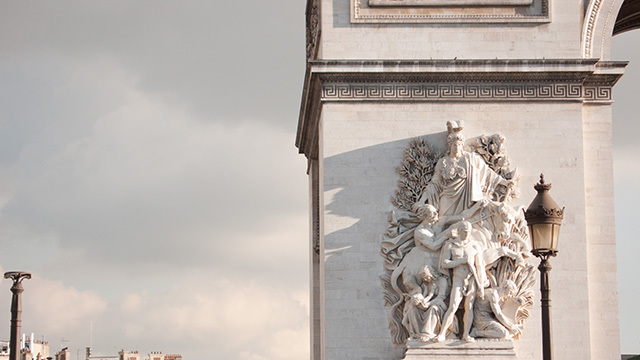 You can join in on the commemoration which takes places in the morning at the Arc de Triomphe on the Champs Elysées . Museums! All national museums and monuments (like the Louvre, Pompidou Center, Eiffel tower...) are open. Only the Arc de Triomphe will be closed during the morning as the President rekindles the flame of the tomb of the unknown soldier. However, all municipal museums, such as the Musée Carnavalet, will be closed. Here are a couple of places you might want to check out with your kids : The Jardin d’Acclimatation in the 16th arrondissement, in the midst of the Bois de Boulogne. It is made for kids only, with lots of out doors activities, animals, playgrounds, etc. National Museum of Natural History (Muséum d’Histoire Naturelle) is another definite must do : there is a great the dinosaure exhibition (running until June 24 2013); otherwise the gallery of evolution displays quite stunningly several thousand stuffed animals. 2 rue des Fillettes, 18th district; Piscine Butte aux Cailles - 5 place Paul Verlaine, in the 13th district. 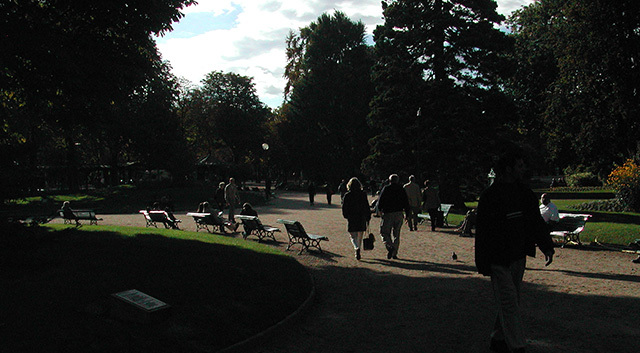 Should the ground be dry, you can also just take your pic-nic to one of many parcs and gardens in Paris. By now you should be free to access the lawns. Here are a couple of great places : the banks of the river Seine, Le Champ de Mars right behind the Eiffel tower, Le Parc Montsouris in the 14th district, the parc des Buttes-Chaumont in the 19th.